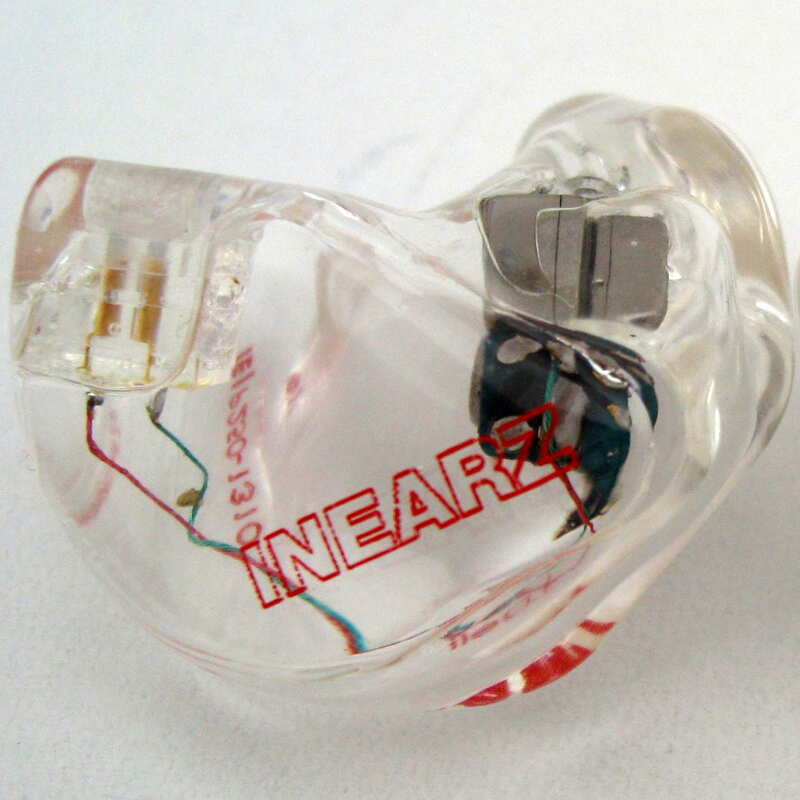 Custom in-ear monitors, or CIEMs, as the name implies, are earphones custom-fitted to their owner’s ear. 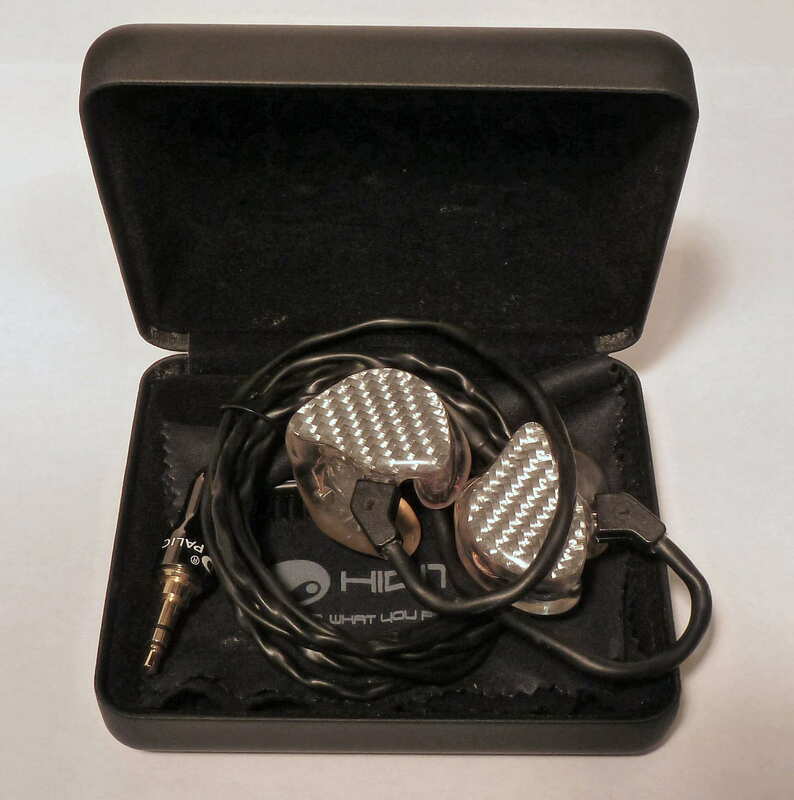 This eliminates the need for ear tips, allows optimal placement of the drivers for better sound quality, and typically results in improved isolation and comfort compared to universal-fit in-ear monitors. 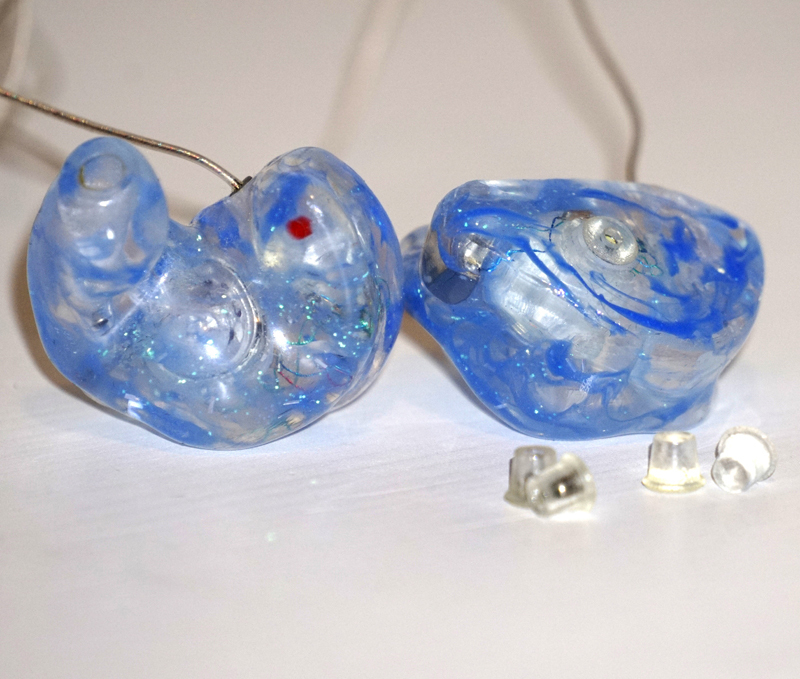 This custom in-ear monitor buyer’s guide features our favorite CIEMs in various price ranges. 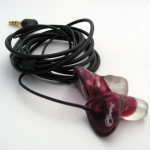 Page one consists of recommendations from average_joe, who owns over 30 custom in-ear monitors and has heard hundreds of headphones and universal IEMs. 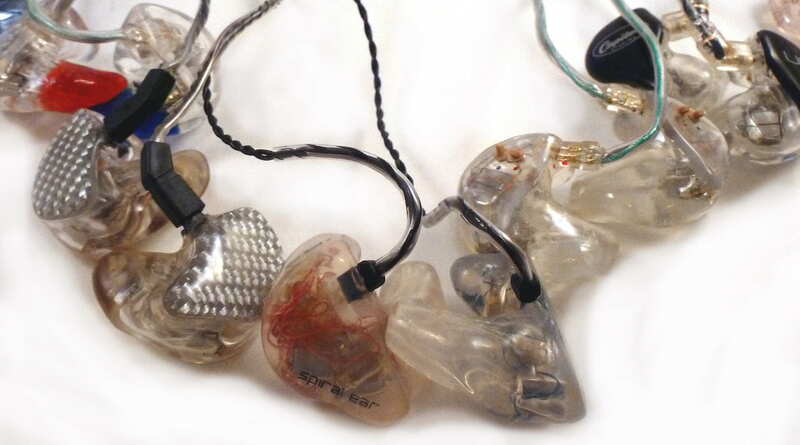 On page two, ljokerl’s recommendations come from his experience with over 300 in-ear monitors. Each recommendation includes a short overview, but it is recommended to read the full reviews for more information. We also strongly advise that sound signature preferences be taken into account before making a purchase. 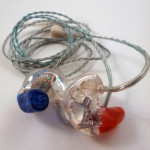 The Best headphone article gives perspective on performance vs. sound signature and the Earphone buyer’s guide recommends sub-$200 IEMs that are broken down by sound signature, which may be helpful in deciding which signature is right for you. 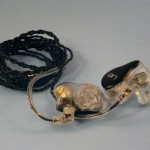 Additional earphones, complete with ratings and reviews, can be found in the CIEM table and the IEM table. These tables allow filtering and sorting to find what fits you best. Enjoy, and be sure to comment with your thoughts and questions! Perfect Seal Sportbud Silver ($250) – Using the Sonion 1723 AcuPass driver, the Perfect Seal Sportbud Silver might not sound the best of the 1723’s I have heard, but it is close enough that when combined with the lower price point, it gets a recommendation. The canal sized custom monitor has a natural sound that has plenty of extension on both ends of the spectrum, doesn’t disappoint in the bass region, and provides plenty of detail. While there is no full review yet, the performance warrants a recommendation. 1 Get 15% off in May 2014 with code THL15May. In Earz IE-P250 ($295) – Another Sonion 1723 Accupass driver CIEM below $300 that brings excellent technical competence to the table with a V-shaped sound signature and plenty of clarity and bass capability for this price range. There is a good balance that will please those that like mainstream sound, but more refined and detailed than what is typically at this price point. Full review. Hidition NT-6 pro ($1250) – Clarity is king with the NT-6 pro, and technical ability is top-notch as well. The NT-6 pro combines the NT-6’s analytical presentation with a more fluid presentation, retains the detail, increases the clarity, and improves imaging for ultra-high performance. The highest and lowest frequencies are boosted, which is readily apparent with many tracks, adding a fun coloration and much greater sense of dynamics and power. The only real negative is that the treble boost can make certain tracks sound artificially bright. Full review here [divider] Lear LCM BD4.2 ($1300) – This 6-driver hybrid is the first custom hybrid I have seen that uses dual dynamic drivers, but that isn’t why it is listed here. The performance is excellent for those that want a spacious presentation along with detail, smoothness, and quality that shares some qualities with the Spiral Ear SE 5-way Reference (see below). This replaces the M-Fidelity SA-43, exceeding the previously recommended SA-43 in sound stage size, detail, clarity, and more. This gem is exceptional for those that want to imagine they are in a spacious concert hall; however the internal imaging isn’t quite to the level of more mid-forward offerings, which is a tradeoff. If you want to approach headphone sound, the 4.2 is going to get you as close as it currently gets. 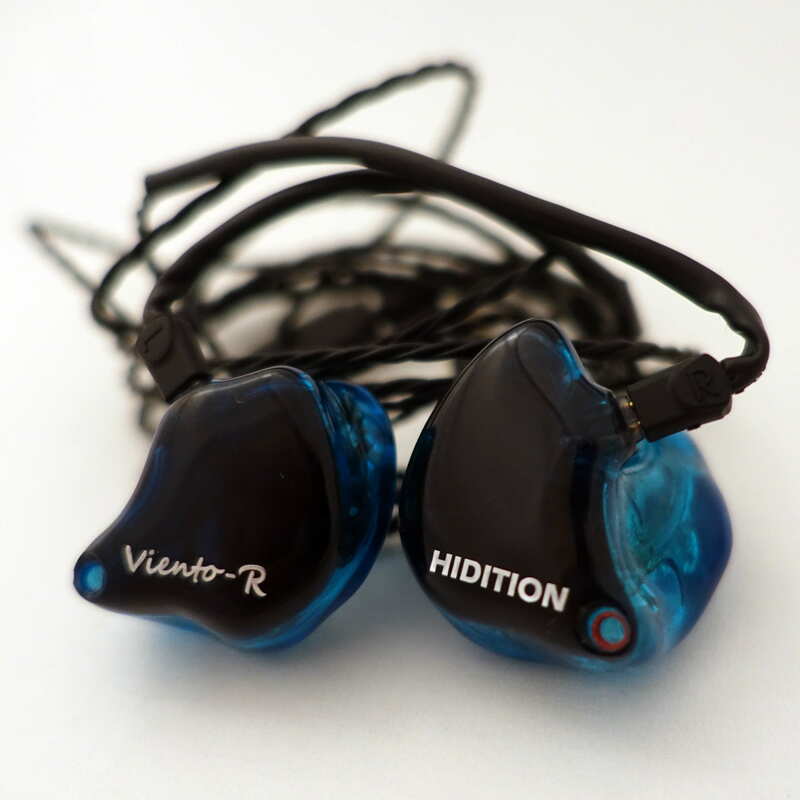 [divider] Hidition Viento-R ($1100) – The Viento-R performs somewhat in-line with the NT-6 and NT-6 Pro, but offers a smoother note that reduces the analytical edge for a sound that is much easier to listen to for extended periods of time. Sure, the Viento-R is still considered bright, but it has a bit more warmth and isn’t quite to the brightness of the other offerings. Performance also isn’t quite to the same level, but it is quite close and in general is exceptional. Center imaging is a true strength even though the open design gives the Viento-R an airiness and good sense of space. The Viento-R also has adjustable tuning to increase the bass level and midrange, and while the changes are small, they do give a slightly different feel that is easy to appreciate. Overall, the Viento-R combines the good of the other Hidition products with a more natural presentation. 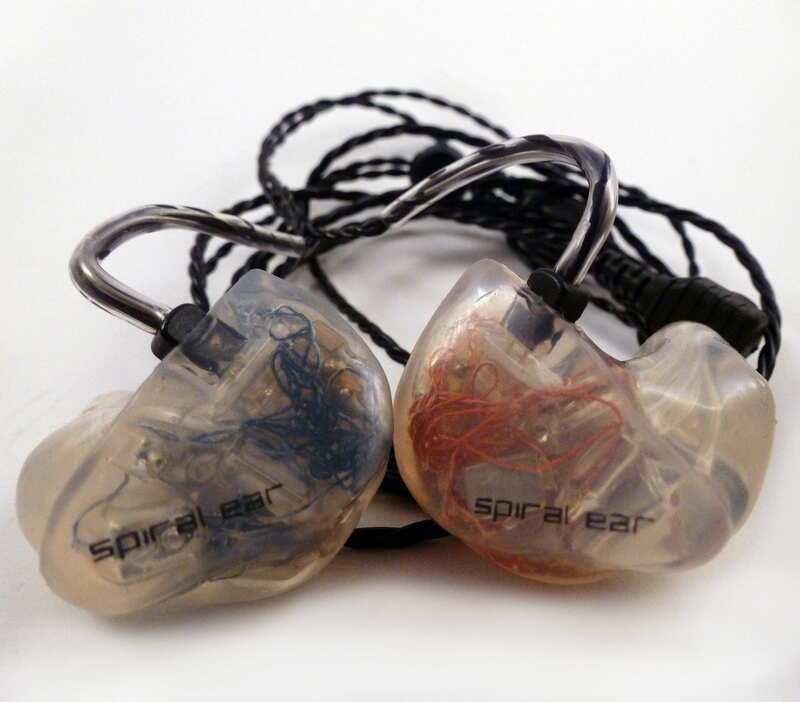 Spiral Ear SE 5-way Ultimate ($1777) – The Ultimate builds on and bests the previously recommended SE 5-way Reference, with more refinement, better space, and a more realistic overall sound. It is like stepping up from 1080P to 4K; the difference is very apparent. The presentation is still powerful and organic with a rich and relatively neutral sound that recreates fine nuances within music with exceptional top-of-the-line PRaT (or note attack and decay) for a realistic, accurate experience. The presentation is difficult to pinpoint as it is transparent to source and track, changing greatly depending on how the track was mastered, which is unlike most headphones that impart their own “sound signature” to the music. Spiral Ear now makes it easier to get their products internationally, so your excuse just flew out the window, along with a good chunk of change! For reference, here is the full review of the Reference. Imagine that, but better! * price is approximate and depends on exchange rate. 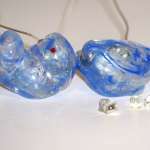 For more of my reviews of custom in-ear monitors and how I rate them, see the CIEM comparison table. Removed Ambient Acoustics AM4 Pro – the pro version is no longer available, and I have not heard the standard version. 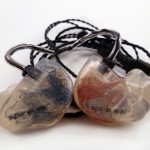 Removed Dream Earz AUD-5X – the Fusion 11 outclasses the 5X in natural tone with a similar, if not better overall capability. Removed Rooth LS8+ – The Hidition Viento-R, while not quite as warm, is a better overall choice in this price range. Removed M-Fidelity SA-43 – The Lear LCM BD4.2 is another spacious performer with adjustment capability but better performance. 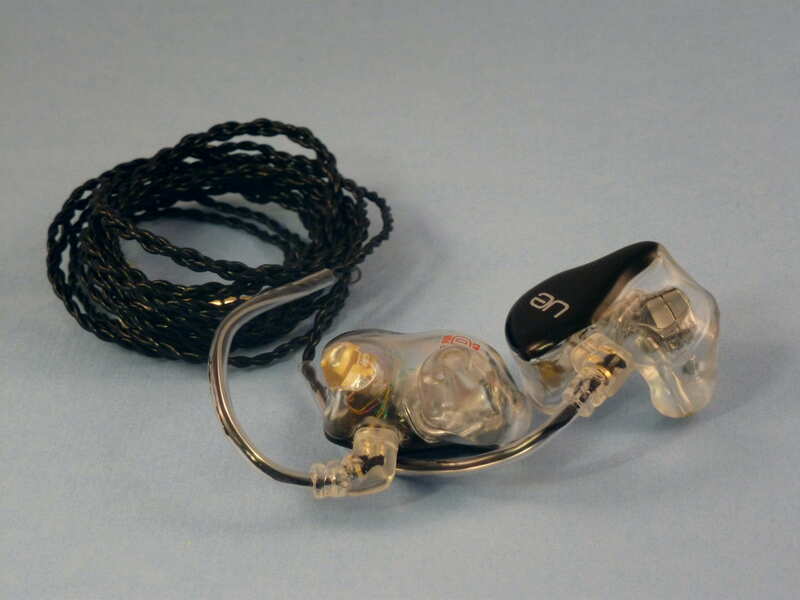 Removed Spiral Ear SE 5-way Reference – the Ultimate is better for a little more money. Hi! I hope all is well with you!! 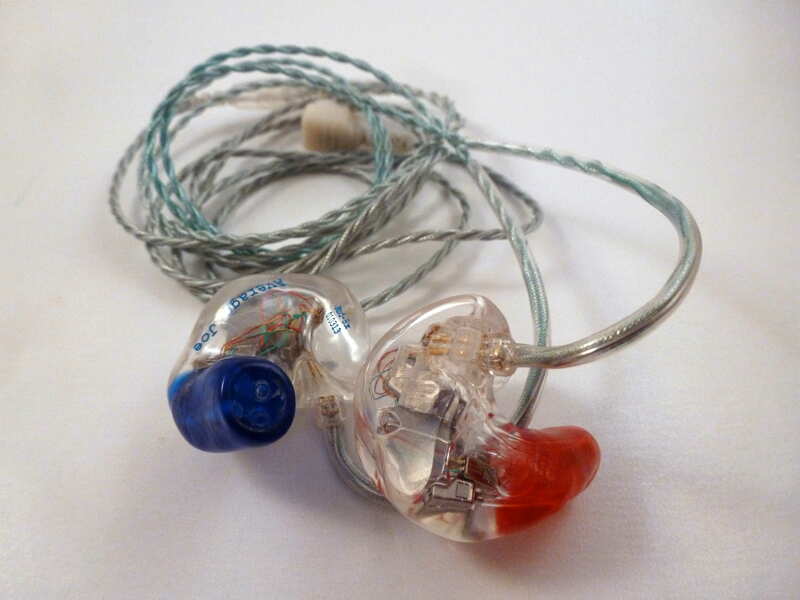 I’m wondering if you can help me with a suggestion for a CIEM. I’m just about to buy my first pair and I’ve been vacuuming the internet for reviews and suggestions. I’m gonna use them mainly for daily listening, but also when running monitors for the worship team in church. My budget is $800 and lower (or 800 eur since I live in europe, so no stupid customs and tax :D). Needless to say, I want good quality sound. But for me, the sound signature is by far the most important thing. I use Shure SE315 day-to-day which to be honest sound quite weird. But I choose them all the time over my UMPro 30 and Re-400 because of the sound signature. The sound signature I’m after is a very mid-centric one. I live for mids; I don’t care how good something sounds, if it sounds dry then there’s no joy in the music and I want to kill myself. With mids, I mean 2kHz. Yet, I want a very open sound with sparkly highs. I suppose the keywords I’m looking for is open and clear. Highs: Detailed, crisp, sparkly. I guess I prefer an emphasis on the upper treble (10kHz+). I still want the hig-mid/low-treble (~4kHz) to be there but not too much. Thank you soo much in advance. This site is so amazing!! Sorry! I forgot to write one thing. My dream in-ear sound signature, which I’m gonna be on a constant hunt for until the day I die, is one where I’m completely drowned by the music. Warm and open. Thank you! 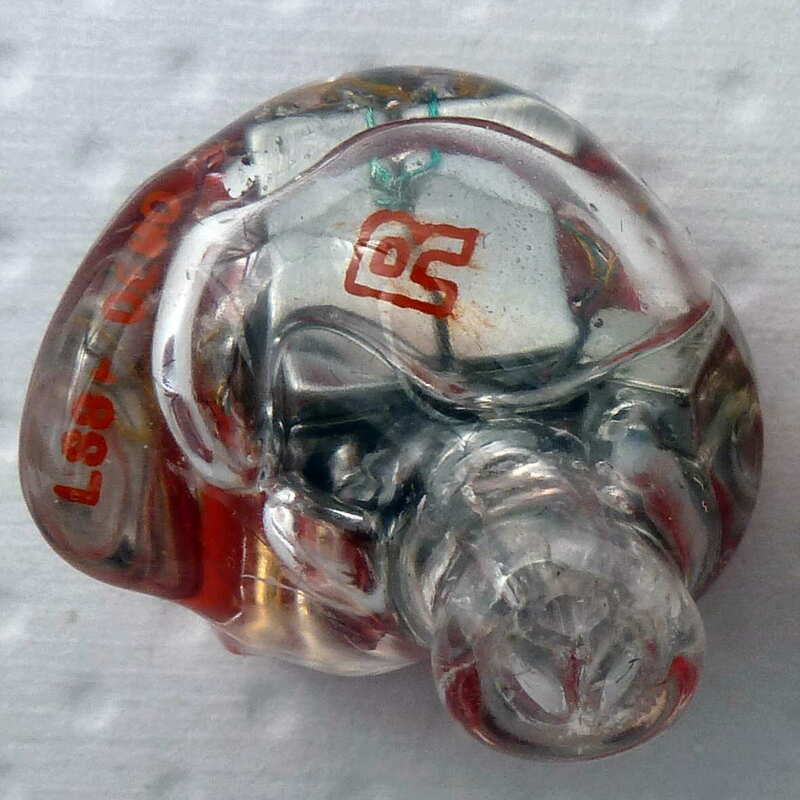 im thinking to buy Custom IEM to use for my daily commute. At first, i was thinking to get LEAR BD4.2 but after i seen the shell which is quite big i changed my mind. Because i want to have an earphone that doesn’t look too big for my small ear. and after reading some reviews, I have read AWW W-500, Hidition NT6 pro or JH16 might be good for me. But which one from these headphones have a really good sound and good looking appearance? Hi Joe! Very informative article. This has become my go-to page as I look for my first CIEM. I have a budget of $500-$750, and am primarily looking at the Perfect Seal PS6. Have you ever tried these CIEMs? Which one would you most recommend? I am upgrading from a Westone 3, if that matters. Hi Kelvin, thanks for reading! I have heard all on the list, but not the AUD 7X. Compared with the W3, the RSM has the most different presentation, as it isn’t quite as mid-forward. The PS and AUD series are both more mid-forward, with the PS series being more enveloping and 3D vs. the wider presentation of the AUD series. The Fusion 11 is between the RSM and PS series. The PS and Fusion are smoother, but not quite as warm as the W3 while the RSM and AUD series articulate details more, and the AUD series is punchier. Hi Joe, thanks so much for replying! I am currently trying to decide whether to get the PS6 or the RSM. As they are around the same price, which do you think offers more value for money? Are they particularly outstanding for its price? Hi Lucky, it seems like it may be Sensaphonics with their active ambient, which is essentially allowing you to control how much sound gets pushed back to your ears via a microphone system. Another manufacturer, ACS, also offers the same thing with their Live! series ambient processor. Another option is to get whatever CIEM you want and use a mixer to mix in the other’s mixes with your own, and a click track. With enough channels, you can adjust the volume independently on each to focus on what you want to focus on. This option does require more setup, at least at first. 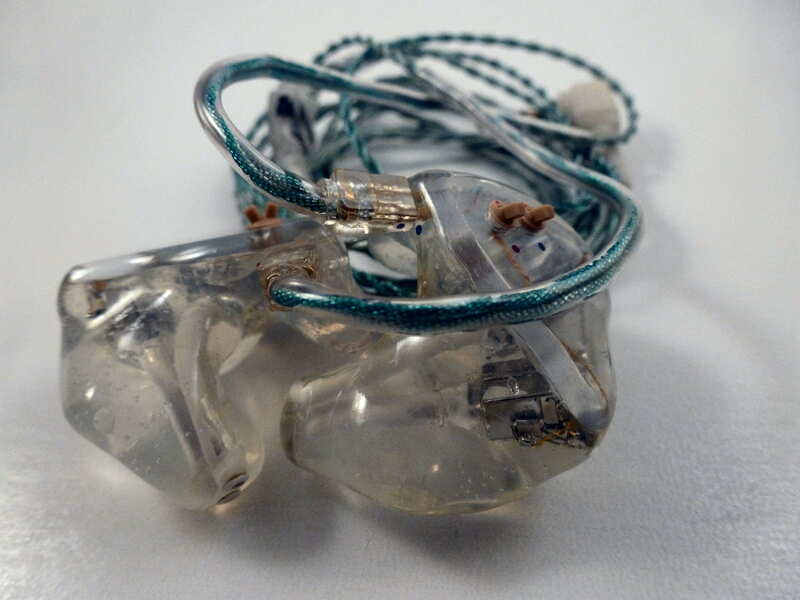 A third, but not necessarily recommended, option is an ambient port in the CIEM that allows the CIEM to be open to the outside by opening a port, which can be sealed for a normal fit. The problem is, once the port is opened, the bass becomes very lacking, but this is the most economical option. Do you (Joe or joker) have any experience with AAW CIEMs, particularly the A3H pro (2BA + 1DD)? I am currently using a pair of Yamaha EPH-100 and looking to upgrade with a budget of around $400. 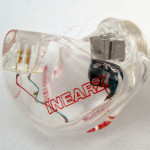 I was looking at earphones like the DUNU DN2000, FLC8S, Campfire Audio Nova, and Earsonics Velvet (out of budget), but I found out that AAW has some custom IEM at a low price, and I was wondering which one would be better. I wish that my Yahama EPH-100 would tone down the bass and mids a little bit, and bring a bit more airiness (?) or treble/detail. 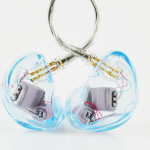 Good isolation is also a big concern to me, and I am not sure if the CIEM would isolate more than foam tips on the IEM. I have heard the AAW demo units and have done a write-up.. I haven’t heard the EPH-100 in such a long time, so unfortunately I can’t provide a comparison. 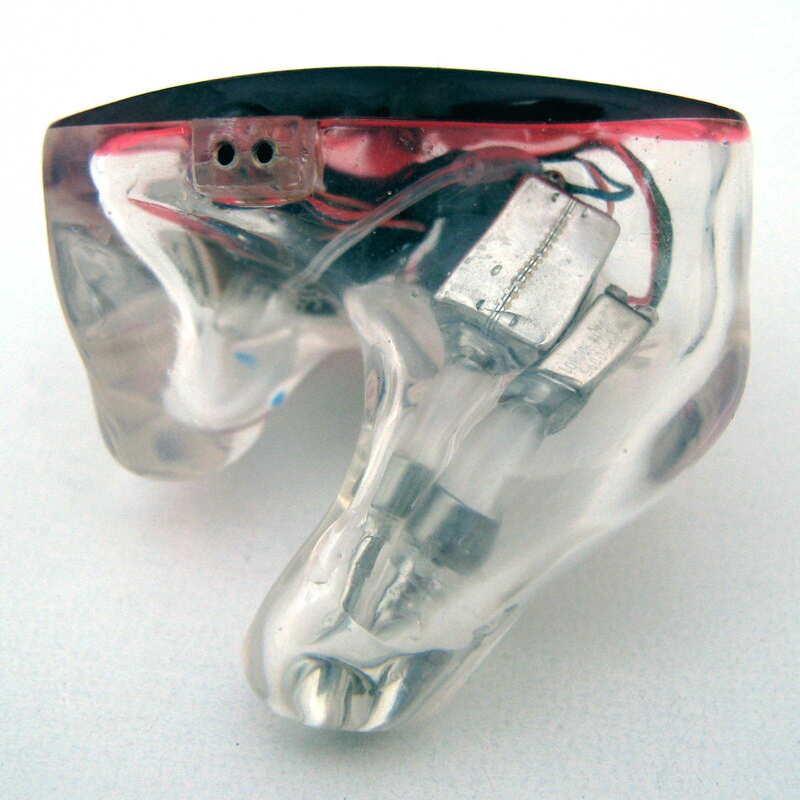 As far as isolation vs. foam, CIEMs typically provide a higher level of isolation, but it comes down to fit and a bit of your anatomy. First off, thank you both for the hard work involved to put this guide together. This is an indispensable tool for first-time CIEM purchases. 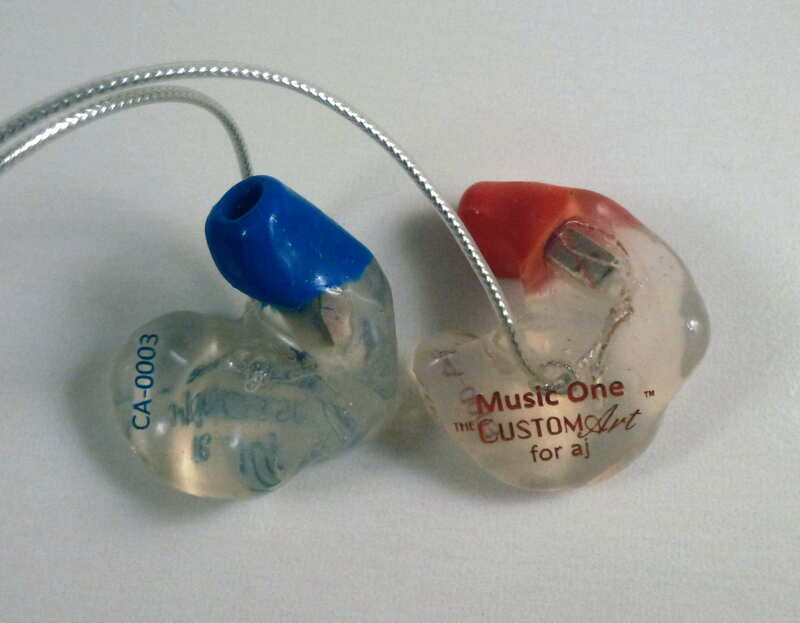 On that note, I have never owned a CIEM and the only pair of UIEM I have used is the Shure SE210. Most of my listening has been using full-size planar magnetic headphones, primarily HiFiMan and MrSpeakers. The favorites of my collection is a toss up between the MrSpeakers Alpha Primes and the Ether-C.
With that in mind, can you suggest some CIEMs with similar voicing to the MrSpeakers Primes & Ether-C, or am I way off here in asking such a question? I would like to keep my budget at $800 or less. I should also add that I will be using my CIEMs part-time in a noisy lab environment at work where typical consistent noise levels are 75-85dB, so isolation is an important factor. Thanks for reading and the question. Unfortunately I have not heard the MrSpeakers headphones, so if you can give me some perspective I should be able to help. For example, do you know how similar the MrSpeaker headphones are to Audeze models? Or a comparison with the SE210 could help, as I would imagine there are significant differences. What HiFiMan headphones have you heard? Thank you for replying. My HiFiMan collection included the HE-400 and the HE-560. I found the HE-400 treble fatiguing, but the overall sound was fun – though I am not a bass-head. I really loved the HE-560 – the only complaint here was the low end was a bit thin sounding to me even with adequate amplification. The MrSpeakers Alpha Prime and Ether-C, in comparison with the HiFiMan, come across as more organic sounding. Just very natural and relaxed across the spectrum. But they do bring the bass when it is called for, though they are by no means classified as a bass heavy headphone. The Ether C in particular is very transparent and provides some keen insight into the quality of your audio chain. In my case, I will be paring my CIEM with the Chord Mojo primarily, and at times a Cavalli Liquid Carbon. If music genres help, I primarily listen to Classic Rock, Classic Country, 80s Rock & Metal, and Singer/Songwriter material (i.e. James Taylor, Paul Simon, James Bay, etc.) – mostly Apple Lossless format but at times I stream my music through Apple’s music service. I guess what I am looking for is a CIEM that is fairly transparent & “organic”, with a good balance across the spectrum, without being overly analytical. It needs to be non-fatiguing and should be able to bring some low-end punch when called for but not bloated or boomy – I like the bass to be tight and controlled and not bleed into the mids. I would like to remain at or below $1000 including cost of ear impressions for which I am budgeting $150 which I hope is on the high side. Do you think you could provide a budget recommendation at $600 or below as well as what you consider to be my best bet given my needs? Thanks for the additional information. 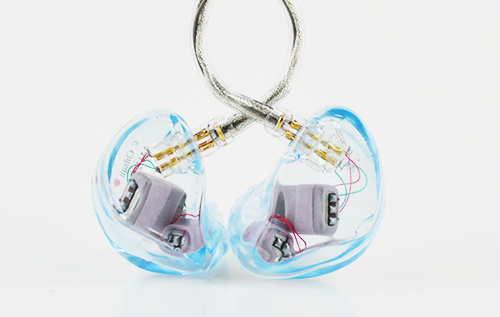 Given what you described and your price point, there is one CIEM that fits: the Fusion 11. 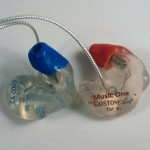 If you can go up in price, the EarSonics EM32 is another option. The Fusion 11 has a more V-shaped sound signature while the EM32 is more neutral and mid-prominent. Both offer organic, transparent sounds and balance can be found with the Fusion 11 depending on the ports. For the price, the Fusion 11 is hard to pass up, but the EM32 is a bit more refined. Thank you so much for guide of ciems. Can you give me your thoughts as to which might best suit my needs? Or perhaps you have another recommendation? BTW, have never used CIEMs previously so this will be my first pair. Many thanks in advance and keep up the great work! Thanks for reading! As a keyboarder, you will do better with a neutral, full-range solution that you can adjust with the mixer. If you want a more powerful bottom-end, the JH13 would be the better choice, but if you are OK saving some $, the V6 will serve you well. If you don’t mind buying from overseas, the Hidition Viento-R would be an excellent fit for your needs and has a more natural timbre. The reason I didn’t recommend the Fusion 11 is the V-shape and upper extension/performance that isn’t quite on par with the rest. Looking for silicone (I’m a vocalist) and at least dual drivers, but nothing seems to be in my price range (around $500USD). It seems I’ll either have to sacrifice for hybrid or acrylic. Which is more important? Is the jump from hybrid to dual noticeable enough on the top end? You are right, there is nothing available currently that I know of that would be tuned ideally for a vocalist, is in silicone, and performs well for the price. For vocalists, there are 2 things I think are important: presentation and voicing. Typically, a forward presentation (or mid-centric) works best for vocalists, but voicing is going to make a bigger difference. Voicing is the tone of vocals and are dependent on your actual voice. For example, a baritone singer would probably sound better on one CIEM while a countertenor would on another. The countertenor would want to make sure there was enough upper midrange, but not too much while the baritone would want to make sure there was warmth, but not too much thickness. The Fusion 11, a very high performing silicone CIEM at your price point, is V-shaped, meaning the midrange is not front and center, but the voicing is very neutral and would work for pretty much any voice type. Dual BAs can be challenged on the low end, but for vocals, they perform fine. A dual BA isn’t necessarily better or worse than a hybrid, but just different. BA’s typically have faster, sharper notes that pull the presentation apart more, making nuances easier while the dynamic driver is smoother, but doesn’t carve up the details. The Fusion 11 has a smoothness to it but still presents plenty of detail. An option is to see if Perfect Seal will make their PS3 in silicone since they make silicone at a low cost. The Custom Art Pro330v2 would fit, but it cost more than $500 by a bit and from my understanding would provide a brighter, more analytical overall sound. Acrylic can be fine, but you may need to spend extra time at the beginning to ensure the fit is right. Hope this helps and let me know if you have any additional question. Really grateful for your replies. Making a new comment since the option to reply is not available for any of your comments. Taking advice from both of you I am down to V6S and fusion 11. Both of them seem to be really good, the price difference is about $130 with the current discount on 1964 ears. Any clue as to how these would compare to each other? Thank you once again! That could be tough. I haven’t tried the Fusion 11 and as far as I know joe hasn’t tried the 1964s. Maybe joe can get some insight from reading my V6S review. I thought so too, since I could not find your opinions on Fusion 11 or Joe’s opinions on V6S. While there are a lot of reviews available for V6S, I could not find any for Fusion 11 apart from joe’s thoughts and a couple of impressions on head-fi, still I am intrigued by these enough that I am confused about which direction I should go. I am so glad you have this site to help consumers make informed decisions and you guys are great with replies and recommendations, I have rarely seen authors of articles so engaged with their readers. Kudos to you! Yes, it is a difficult one since joker doesn’t have the Fusion 11 and I don’t have the V6. If you want a performance placement, at least vs. the CIEMs I have rated, the Fusion 11 will most likely fall between 81 and 82 in overall score, which has been the $1K+ CIEM range. I remember discussing the V6 with joker a year and a half ago or so and the image I had in my mind is more of a reference, brighter, bordering analytical sound. I have them in my ears now as I was comparing them to the Alclair Reference. Hopefully my comparison, which is here, will help you make a decision. I had earlier asked for advice on new iems in the recommendation by sound signature thread and joker recommended me the EPH-100 by the earphones I had owned previously. I was going to buy those but came across a really great deal for Dunu DN 1000, and thought I can try a different sound signature and see how I like it. I have really started to enjoy these but there are certain things that make me yearn for more, so I decided I should jump in on a ciem and see. What I found lacking in the presentation of Dunus are the mids, especially female vocals, they sound too distant. The bass quality is amazing but a little overpowering while I love the treble extension sometimes it sounds weird and they can be a little more smoother. Love the clarity of these and soundstage is not too bad. What I am looking for in a new pair of CIEMs is good midrange for vocals with good extension on both ends, deep bass with smooth treble but not rolled off. More 3D like presentation airy and spacious with slight warmth. The CIEMs I had shortlisted are 1964 V3 and V6S. I am open to other suggestions with a budget of around $1000, preferably lower. The V3 and V6S both be on my list as more “reference”, flattened-out DN-1000 upgrades. The V6S obviously more so, being nearly flat, and the V3 somewhere between that and the DN-1000 in terms of tuning. Bass is very tight on these, especially the more balanced V6S, but treble is not the smoothest as they are still slightly v-shaped (less so than the DN-1000). If you want more mids and smoother treble in a similar price range, there’s the Custom Art Pro 330v2 (https://theheadphonelist.com/brief-impressions-custom-art-harmony-8-pro-pro-330-v2/), but you give up some of that spaciousness and clarity that the brighter, more v-shaped sound of the V6S provides. 1. How are the vocals in V6s and V3 compared to the Dunu Dn-1000? Are they more forward or similar? 2. How does the bass compare between DN-1000 and V6s/V3/330V2? I mean in quality and extension, I love the impact of DN-1000 but it tends to sound a little boomy at times. 3. Which of the three V6s, V3 and 330V2 would work with most number of genres? And which of the three would sound good even at lower volumes without sounding fatiguing? Thanks a lot for all your help. I am trying to make my decision by this weekend since the 1964 ears have a 10% discount going on during the weekend, so that would make a significant difference if I decided to go that way. Let me throw in some additional recommendations I think would fit what you want well. Both offer tunable bass levels so you can find just the right amount for your taste, and both offer exceptional spaciousness. – AAW AHMorph W500 – Very lush, involving mids with exceptional overall performance that is a bit on the forward side. To my ears, there is no comparison between these and the DN-1000, although it is above your budget. – Perfect Seal Fusion 11 – While it isn’t too different from the W500, the mids aren’t quite as forward (but not recessed), and it is a bit brighter. Performance isn’t at the same level, but of the few CIEMs I know of that punch above their price, this is one. I have written several comparisons in various reviews, which can be found here. The vocals are more forward relative to the bass and treble on the 1964 units, but perhaps not more forward in terms of positioning. What I mean by that is, the DN-1000 is a more v-shaped earphone, which means the bass and treble have some boost relative to the midrange. However, it’s also not a hugely spacious earphone so everything in the presentation is pretty forward. The V3 and V6S are less v-shaped, but they (the V6S especially) are also more spacious and airy, so everything is more spaced out. In this case, bass quantity decreases and bass quality increases as you go up from DN-1000 to V3 and then to V6S. The V3 in general is kind of a compromise, being bassier than most customs but a bit more boomy compared to true reference sets. It’s still quite a bit better than the DN-1000 when it comes to bass control, though. As for genres, that’s really more up to the listener. I tend to consider balanced earphones more versatile because I don’t mind how any genres sound with a flat earphone. That means it would be the V6S or the Custom Art for me. If you’re a lower-volume listener you’re actually better because uneven highs are less of a caveat for you. That usually gets more fatiguing as volume is increased. With this consideration the V6S may indeed be the best choice, so long as you don’t want more powerful bass than a reference IEM like that provides. Hi Joker, I was wondering why the 1964EARS V6-S isn’t on here? Ooops, NM, I didn’t realize there was a page two. Just to understand the way of thinking (I’m still learning the business ☺): Why complementary characteristics is what one should look for? Say some IEMs sound more analytic, why not pair it with an analytic sounding DAP to maximize this effect? This question might be super-dumb but I’ll risk it ☺. Is there any third-party DAP that you would recommend over these two? I don’t mind spending a bit more if there is a real difference in SQ (in other aspects, the X5 and DX90 should suffice). Did you actually find the DX90 to be more detailed than the X5? This was something I came by quite often when I did some reading and details are my soft-spot. |joker| said that background hiss and high output impedance are both very undesirable with the JH13. How are the X5 and DX90 in this regard? Hi, great reviews and very helpful! After reading both lists by you and |joker| I have a question regarding which DAP should I pair with JH13. I’ve tried asking |joker|, which was very helpful but I’d still ike to get you take on thing as well (if you don’t mind of course :). My DAP budget is up to 400 USD. I’ve done some reading and found that the Fiio X5 and the DX90 are very well though off in this price range. Both have a decent UI and build quality and the X5 is stronger on the battery side. But putting all of this aside – which will pair best with the JH13s? Initially, I was thinking about getting JH16s, mainly because I only now read this review and finally got a good grasp of the technical terms that accurately describe what I am actually looking for; the JH16s are not it, being to heavy on the bass side. I’ve read a lot of good reviews about the DX90 but got the impression of it also having a rather dominant mid-bass. Therefore, I felt maybe the Fiio X5 will be an better fit so that the bass won’t become over-powering. Nonetheless, all the rest of what DX90 has to offer, I generally prefer it over the X5 (especially that it is great with details and accuracy). However, now that I’ve got the JH13 on sight, the pairing with DX90 sound more natural, since I don’t mind bass, I just want it balanced with the rest of it. I’d be very happy to hear what do you think of this and which DAP do you recommend. If there is a third\fourth option(s) I should consider – I am in now way fixed on getting either of these two DAPs. Hi Ziv, I have experience with both Fiio and iBasso products and find that there tends to be a preferred pairing depending on the CIEM manufacturer. For the JHA products, the Fiio products pair better due to the complimentary characteristics as the JHA products have a bit of a laid-back sound while the Fiio products are more up-front than the iBasso products resulting in a more natural sound. I haven’t heard the pairing with a JH13 though. Let me know if you want additional clarification or have any other questions. Good question “why complementary.” Sure, you can combine two products with like characteristics, but that tends to over-emphasize those characteristics, which reduces the natural, realistic sound that makes these high-performance pieces of gear great. For example, if you want really really analytical, sure, you can combine an analytical player with analytical headphones, but there will be tradeoffs. For example, the notes (ADSR characteristics, or attack, decay, sustain, and release) may become very sharp due to say a short release for both components. In the case of a very short release, notes wouldn’t reverberate as they should and reflections and other nuances would not be audible. As far as other DAPs, I unfortunately haven’t heard many others as of late, but I know there are some out there. Is the DX90 more detailed? Yes, but to me a natural, realistic presentation is more important. I will give up a bit of detail for a better overall sound vs. saying I can hear extra detail that is presented “wrong” by my interpretation. Hiss isn’t an issue with either player considering the JHA sensitivity. Others may pose issues, such as the EarWerkz Legend-R, which has an ever-so-slight hiss with the DX90. Hopefully this answered your questions. Please let me know if you have any other questions.